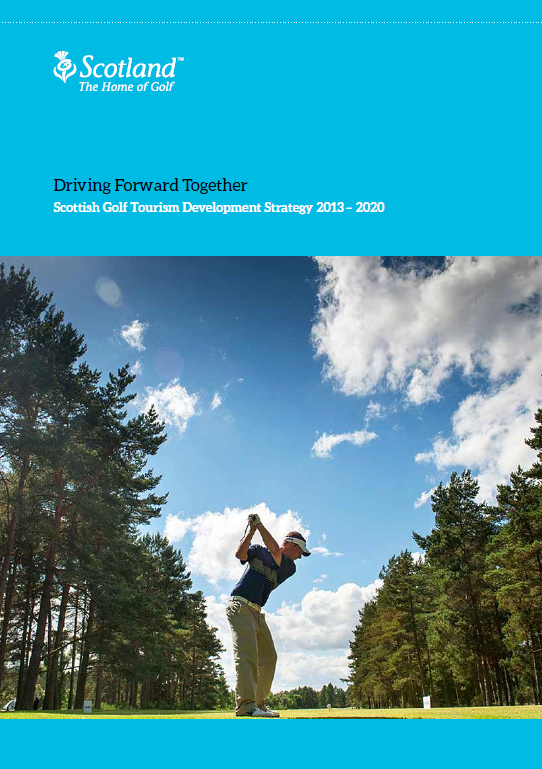 The Scottish Golf Tourism Development Strategy “Driving Forward Together” is being delivered by a number of public and private partners, who form the “Golf Tourism Development Group”. The group brings together Golf Tourism Scotland, VisitScotland, EventScotland, the Scottish Golf Union, Scottish Ladies’ Golfing Association, Scottish Enterprise, SDI, Highland & Islands Enterprise and the PGA Scotland to deliver the Scottish Golf Tourism Development Strategy “Driving Forward Together”. The overall goal is to foster closer working relationships within the industry and realise the ambition that “by 2020, Scotland will be the world’s leading golfing destination”. The strategy launch in September 2013 was attended by more than 170 Scottish Golf Tourism Industry figures. Work on the strategy began in 2012, with a series of workshops held in Aberdeenshire, East Lothian, Fife, Ayrshire, Perthshire and the Highlands, designed to ensure that the industry had a say in setting the strategies.